Adulting is hard and taxes are confusing. We’re here to help! Review our tips on breezing through tax season and making smart money moves. A dependent who earned less than $6,350 in the tax year does not have to file a return. So even if you’re not legally required to file a return, you’ll probably want to because the government may owe YOU money. Any company you worked for during 2018 will typically send you the form by January 31, but contact them if you don’t receive it by then. You need to know your status as a dependent on your parents’ tax returns. In fact, not knowing is one of the worst mistakes a student can make. A dependent must meet certain conditions, such as age requirements, income, or full-time student status. Since most college-age students fall into the dependent category, students cannot claim their own exemption. The deadline to file a tax return is April 17. But don’t wait until April to begin the process! PRO TIP: Starting early will give you time to gather the right documents and get advice from your parents and tax professionals. Don’t file on your own if you are in the learning the process! College students, like everyone, are eligible to use the IRS’s Free File program. They’ll help you through every step. The best part is … IT’S FREE! If you’re going to school — and paying for it — you can opt for certain deductions. Make sure you do not leave money on the table by overlooking tax deductions. A deduction reduces the amount of tax taken out of your paychecks, and education deductions can save you as much as $4,000. 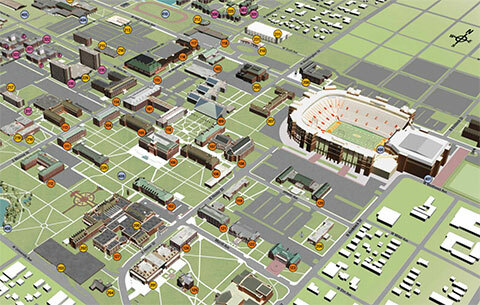 Don’t forget, #okstate has tons of resources to help Cowboys skate their way through college. Check out The Office of Scholarships and Financial Aid website for more details. If you are a first-year student, you can also reach out to the Office of First Year Success. Complete the FAFSA each year you’re a student to find out what financial aid you may qualify to receive. Last but not least, pinch your pennies! Here are a few LIFE HACKS for you. Don’t spend money on things you don’t need. Use your meal plan or make dinner at home, hop off the shoe site and skip the dessert. You can do it! Use cash instead of a card. It’s a mind game, play smart. Homemade gifts and low maintenance dates are still FUN! Your loved ones will still love you if you take one for the team and cut back on extravagant gifts/plans from time to time. Save it for a special occasion!